I really miss giving out treats for the kiddos when they use to come by the front door years ago. But, that doesn’t mean I don’t enjoy making some fun and scary Halloween Treats for my neighbors and friends this time of the year. Where I live has a community center where members from our community gather for their club meetings, play cards and games or just sit and visit with others. Any time a treat is left by the coffee pot, you know there won’t be anything left by they end of the day. 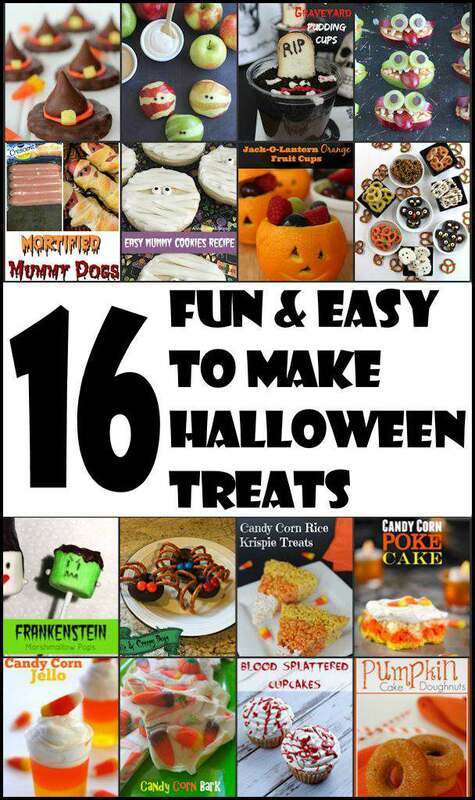 These recipes are for all kinds of appetites and made with all kinds of treaty treats. I love anything made with candy corn!! Is there anyone else out there who loves candy corn as much as I do? Need a healthy snack? There are a couple of those too!